In a nutshell: The Huawei P9 Lite is one of our top-rated phones for 2016. Priced at just under �300, it's a mid- to higher-end phone with an impressively skinny metal design, a big 5.2 inch Full HD display, and an 8-core processor. A big battery life and 16GB of memory complete the package. Did somebody order a Chinese? Oh yeah, it was us. We ordered a "Lite" meal - the P9 Lite in fact, and it turned out to be a very tasty dish indeed. The first thing we noticed about the P9 Lite was the bill. It costs about £150 less than the P9. That means you can get it for less than £300 sim free or pay as you go, and makes it a real bargain. The P9 Lite is about the same size as the P9 - perhaps half a millimetre thicker, but still what we'd call ultrathin - and it weighs a gram or two more. It's a good weight for its size - not heavy, but feeling solid. That's not surprising for a metal alloy phone, of course. Available in Black, White or Gold, the P9 Lite shares the good looks and high build quality of the regular P9, with sleek design, chamfered edges that catch highlights, and twin speaker grilles at the bottom edge, giving it serious HTC-inspired looks. On the back of the phone you'll find a square fingerprint scanner, used to unlock the device. The P9 Lite has the same size screen as the P9 at 5.2 inches. The screen resolution is the same - 1920 x 1080 pixels - making it both big and sharp. 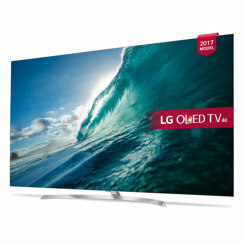 This Full HD display is bright, with well-saturated colours and good viewing angles. Like the P9 itself, the P9 Lite uses an octa-core Kirin 64-bit processor. It's a slightly slower model, but still very capable, with 4 cores running at 2GHz and 4 at 1.7GHz. Fitted with either 2GB or 3GB of RAM, depending on the version, it's a good high-end CPU. The P9 Lite has half the flash memory of its big brother, which is fair for the price. The 16GB of storage plus microSD card slot should be plenty for most users, and you won't find a phone with more memory for this kind of money. The P9 Lite runs Android 6 Marshmallow, with the latest version of Huawei's Emotion UI on top. This Apple-inspired user interface adds some interesting features, but isn't our favourite mod. It doesn't appear to give the phone any noticeable performance hit however. Perhaps the most obvious reduction in specification compared with the P9 is the fact that the P9 Lite has a single rear camera, instead of the dual lens configuration of the P9. But we have no complaints. The 13 megapixel Sony BSI camera with autofocus and flash is as good as most mid- to high-end phones, and performs competently under most lighting conditions. It's a good everyday camera that will meet the needs of most users. Similarly, the front camera will serve the needs of the selfie-seeker, with a fixed-focus 8 megapixel sensor, and wide angle f/2.0 lens. The screen lights up as a flash in low lighting. 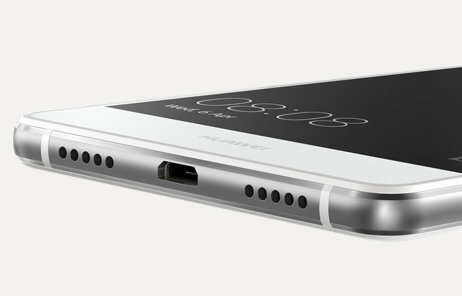 The P9 Lite misses out on the USB-Type C connector of the P9, being equipped with a more conventional array of connectivity options - 4G, Wi-Fi, Bluetooth, micro-USB, NFC, and a headphone socket. GPS and Glonass positioning are included, as well as a compass. Often the "Lite" version of a phone loses out when it comes to battery life. Not so with the P9 Lite, which shares the heavy-duty 3000mAh battery of the P9. Considering that its Kirin 650 processor uses less power, this gives the P9 Lite an impressively long battery life - between 1 and 3 days in our estimate. Of course the P9 Lite isn't quite as good as the P9. But when you factor in the substantially lower cost, we'd rate it as an even better buy. The P9 Lite makes cuts in the right places - eliminating the dual lens camera, and opting for a lower-spec but still fast processor. The memory has been cut to 16GB too, but for the price bracket, we think that the P9 Lite gives more than any other phone. Update (August 2017): The new Huawei P10 Lite doubles the memory to 32GB and brings a few other welcome improvements. How do you zoom in when about to take a photo? I bought my phone in south africa, but it doesent want to take an international sim and its supposed to be unlocked. Can this be fixed? 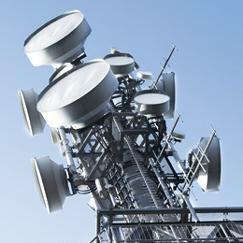 On a ceuiseliner working, want to put At&t sim for when we in US PORTS. How do I make the P9 lite connect to Windows Media Player? All my previous smartphones have connected automatically to WMP but the P9 lite doesn't. I want to put music of my choice on the phone. How can I do this? Got this phone as an upgrade from EE here in the UK. My only problem with it is it won't synch with Windows Media Player. Does anyone know how I can make it connect up? I have just purchased this phone second hand for �120 and so far so good I had a alcatel idol 3 5.5 before buy my 2 year old put it down the toilet after 2 weeks GUTTED and that was a lovely phone the only problem is no where can fix it anyway back to the p9 lite its a lovely handset great battery life great screen it's a all round beautiful handset id say it's the best handset under �210 all day. I have had this phone now for about 6 weeks now. I thought that I would take a chance on something different from my previous HTC one mini. Everyone kept saying go for an iphone, but when I saw this and read numerous reviews(all favourable), I thought lets give it a go. Well so far I have been more than impressed, it does everything it says on the tin. I think Huawei will be one of the leaders in the market if they continue to build phones like this one, and once you get over the fact its not a iphone or Samsung, then you will really enjoy this phone , especially at the price. I brought my p9 lite as ive always been interested in them i think they are far superior than the iphones. 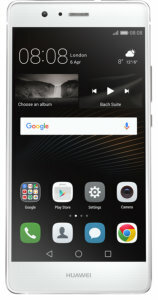 The only problem i have is the keyboard the buttons seem closer together and im always hitting the v or b buttons but hey im 70 and into smartphones in a big way and the p9lite is a fantastic phone so if you want a great phone better than samgsung and iphone you wont go wrong with a huawei p9 lite. Download the free 'Big Buttons Keyboard' app. Try downloading the google keyboard . I had the same problem on a 4 inch screen but with the google keyboard I hardly make any mistakes and it is also a slide keyboard and very accurate. 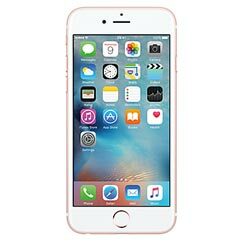 Got mine for �150 unlocked from Carphone Warehouse, WOW does everything you need. Dont like emui but I use Go Launcher. For the price best phone ever had, does everything I want that my s6 did. Little tweaks missing but these are ones you watch on reviews of samsung or iphone that you try and then never use. This is not a mid range phone its a high end phone missing stupid things you dont really need. To Huawei keep up the excellent work and low cost and I'll never use another brand again. After some looking around for a suitable replacement to my aging iPhone 5 I decided to spend less cash. 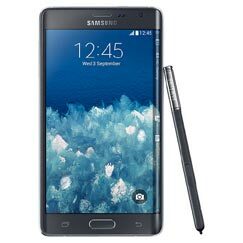 I was looking at the Galaxy A5 2016 but I'm not keen on Samsung products generally. I stumbled onto Huawei by mistake. I picked it up thinking it was a Sony Xperia Z3. I was allowed to 'try before I buy' but hadn't noticed Huawei on the front nor the rear. I was really surprised by the speed of the phone and the overall weight and looks. When I asked how much the Xperia Z3 was, I was then told it was the P9 Lite. I thought they were joking. I've had the phone for several weeks and I have not issues with it. My lesson learnt is 'don't be a brand snob'. The P9 Lite is 5 out of 5. The best smart phone i owned! nothing compares! better than my Samsung Galaxy S6. I'm very impressed with my huawei p9 lite,to me it has everything I need and I think it's better than the iphones. It's fast enough for me, the colours are bright and the camera is pretty good, better than the samgsungs, and battery is amazing. I've got it in a leather case and being a elderly gentleman it's perfect the only gripe I've got is the keyboard seems small but other than that I'd say the manufacturers if they keep on producing phones like this will rival the other leading names. 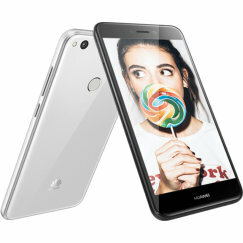 Well done huawei and thankyou for introducing a phone with so much going for it at a respectable price. I bought the P9 lite last week, as the reviews for it were good. The screen is clear and the sound good, but it's main attribute is the battery life, which is astonishing. I charged it last Wednesday when I bought it, and although it took over three hours, there was still 20% left on Sunday morning, after downloading apps, calls, and watching youtube. This is one of the best phones I've had. Bought the Huawei as a replacement for my old Iphone 5s. Fantastic phone, works very fast, screen is perfect resolution is great. Now for the most part battery life is just fantastic, Iphone could handle 5hrs of heavy usage, Huawei has an outstanding battery life, highly recommended, would not go back to Apple again. Great battery! That's all! Phone not as good as I thought. It will do till I can afford a Samsung! Very impressive low to mid range phone, great addition. The p 9lite is a great phone .The only time I will change is when the next one is created. I have HUAWEI P9 LITE and I like it. Huawei foons will be the beste foons in next 20years from now. Superb phone. Superb value for money. Very fast. Great screen. Way way better than Moto G I had before. 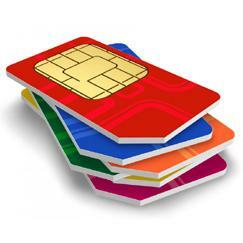 Can now buy for under �200, SIM unlocked. Absolute bargain. Reckon that in less than five years, Huawei will overtake both Apple and Samsung in global smartphone sales. I like phones that many wouldn't think of owning. The Huawei P9 Lite is just such a device. I purchased mine the other day from Carphone Warehouse. The sales representative was keen to help and was even more keen to show me Samsung Galaxy s7's, iPhone 6S (he talked in length about the 7, YAWN!!!!). The P9 Lite feels premium for the cost. I got mine for �199 ($264, 234Euros). Bargain price for specification. Read S21's review for specs. Once setup to my preferred way (installed Apex Launcher over the EMUI 4.0 and unlocked the bootloader and rooted ready for custom ROMS) I am now able to give my review. I have nothing negative to say. Even if the phone cost twice the price I would not have a negative word to say. OK, 16gb on board storage is a little low, but adding an SD card takes care of that. The P9 Lite is fast. the battery last 2 days with average use. I can get to the 3rd day before charging. The finger print reader is bloody fast (slightly slower when using the Apex launcher). It has all the connectivity required by me including NFC for Android Pay. 5 out of 5. Good on you Huawei for showing the world how to make a good smartphone at a good price. I cannot fault the P9 Lite. It has performed admirably when comparing it to device twice the cost. Obviously I've been tinkering with it over the past few days setting it up to how I like. I think the EMUI 4.1 isn't great but I can live with it. I could install another launcher but this doesn't help the UI side of things. I've unlocked the bootloader and rooted the device. Removed several system based apps, mainly Google stuff such as music, drive etc. This has lightened the ROM a bit and I find I have more available RAM with multiple apps open. Since my first review 10 days ago I have had a software update. Being that I have the VNS-L31 Europe version I am now running software version C432B151 with EMUI 4.1.1 with Android Security Patch Level to 1 August 2016. Basically Huawei are being good with regular updates. EMUI isn't my preferred Launcher/UI but this minor update seems to have made a slight difference with smoothness. I only like one screen of apps I use all the time with the rest in the app draw. EMUI removes this app draw for an iOS style layout. EMUI is not the lightest Launcher/UI and does consume a bit more RAM than others. I doubt Huawei will drop EMUI. As mentioned before I have removed unwanted apps via unlocking the bootloader and rooting the device. I like Android to run with only the apps I need. With 3gb of RAM I find I tick along only using 1 to 1.1gb of RAM with plenty in reserve. Something I have noticed is that EMUI doesn't multitask very well. Open a bunch of apps and despite the large amount of spare RAM I found apps refresh often. EDIT, EMUI 4.1.1 seems to have addressed this. I opened all the apps on my P9 Lite and found none had to refresh when going back to them, bonus. 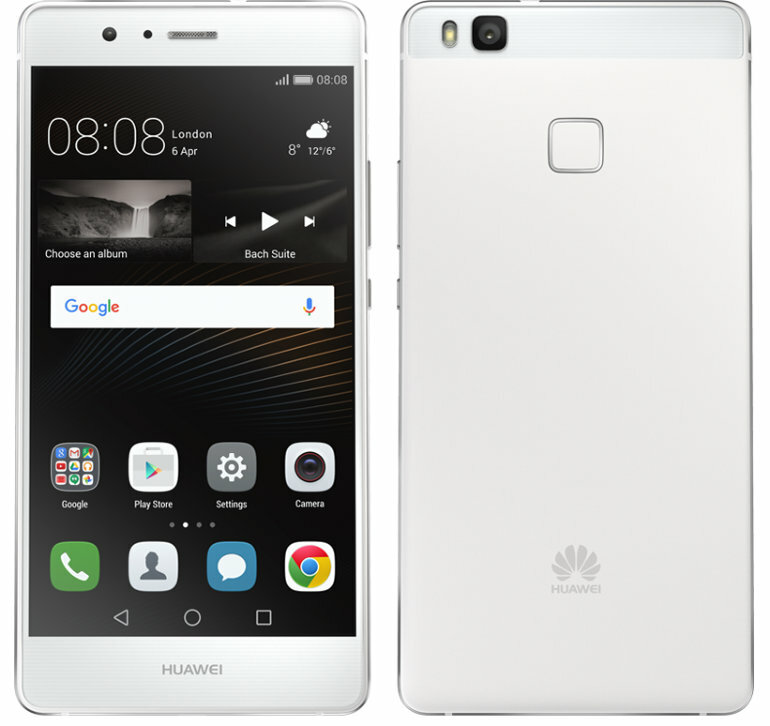 I don't normally write lengthy reviews like this but I feel compelled to do so as I am very impressed by the Huawei P9 Lite and what it offers for the price. I got mine for �199 and although it isn't in the same league as the Samsung Galaxy 7 or 6 and iPhone 7 or 6s for that matter, it does hold up very well against them. I agree with Andy Hagan's comment regarding Huawei overtaking iPhone, Samsung and others, only as long as they produce devices such as the P9 Lite etc. Do we need phones with CPU's quicker than a PC. Do we need over 3gb RAM to power apps. I just don't think we do. The P9 Lite had the correct balance of everything. I did buy a Moto G4 the other day. I use to own the Moto G 3rd Gen and liked the phone a lot. Unfortunately I cannot say the same for the Moto G4. 5.5" screens are to big IMHO. The P9 Lite is just right. Great. My phone slipped off a chair and despite having a rugged case on the screen shattered. I've had screens crack before but this was like a car window type of shatter. Not impressed. My negative is the screen is definitely not to gorilla glass standards. Since my P9 Lite met its end I was lucky and acquired a iPhone 6S free of charge. Using iOS was easy and very familiar, but equally frustrating. If you have used iOS and Android you'll probably know where I'm coming from. I decided to get another P9 Lite, carried out the same process as before, unlock bootloader, remove loads of junk I don't need to lighten the OS. Still an amazing phone for the money. I stand by my comments already made. how about it SAR value? almost reach 1.6. I love this phone. but it scares me, or im just being paranoid?